Tired of hearing the same show again when you switch devices? Or having to set everything up again on a new device? You can forget about all that as everything's synced for you — not just your subscriptions, but also full play history, app settings, and custom themes. Which playlists will sync in the cloud? 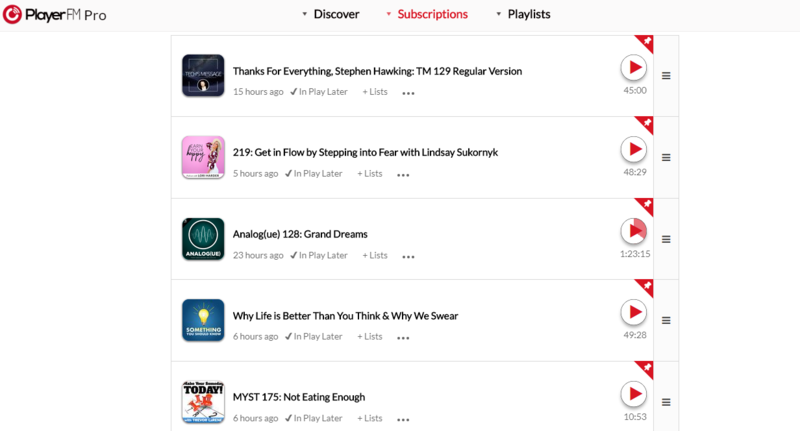 On premium plans, Player FM syncs all your playlists across devices and on the web, including Play Later, Bookmarks, and of course your play history. 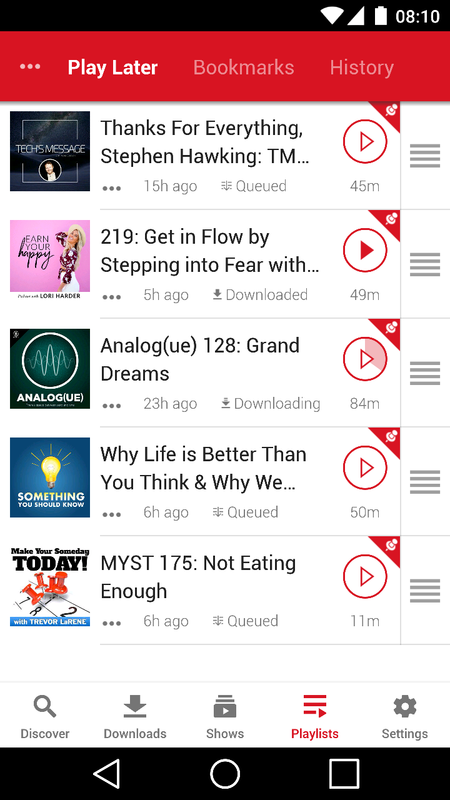 On the other hand, personal media playlists are not synced. It wouldn't make sense syncing them as they are based on local files. Will episodes I play on one phone automatically be removed from other devices? Generally speaking, yes, which is desired behavior. An episode you play on phone 1 will be marked as played on all other devices, so if you enabled the setting to auto-delete played episodes, it would be removed from those devices too. You can still choose to keep an episode permanently on your device with a manual download. Also, premium plans introduce a better option for permanent downloads. There are now custom playlists and they come with their own download limit. For example, you could make a "besties" playlist with a download limit of 100 to keep all your favorites offline, even if they're played.